Wow! 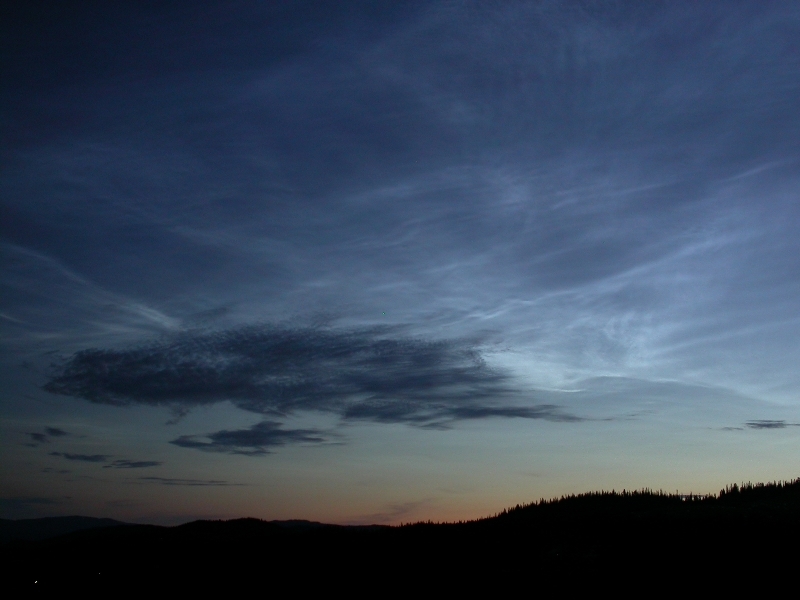 This was amazing display of NLC's and in such a good conditions. Best show in years! Photo details: Nikon D200, 100 ASA, 20 and 28 mm lenses. 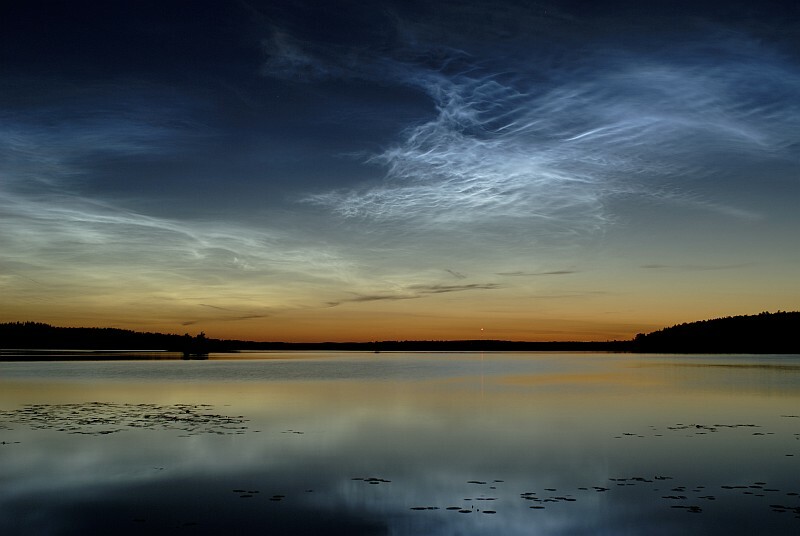 One of many displays of NLC lately here in Sweden. 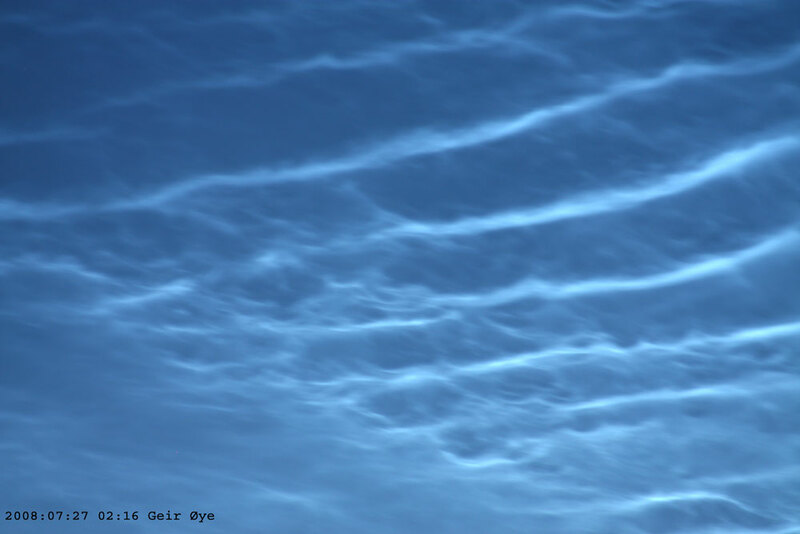 Last night, maybe one of the last in 2008, I had another wonderful sight of Noctilucent clouds. 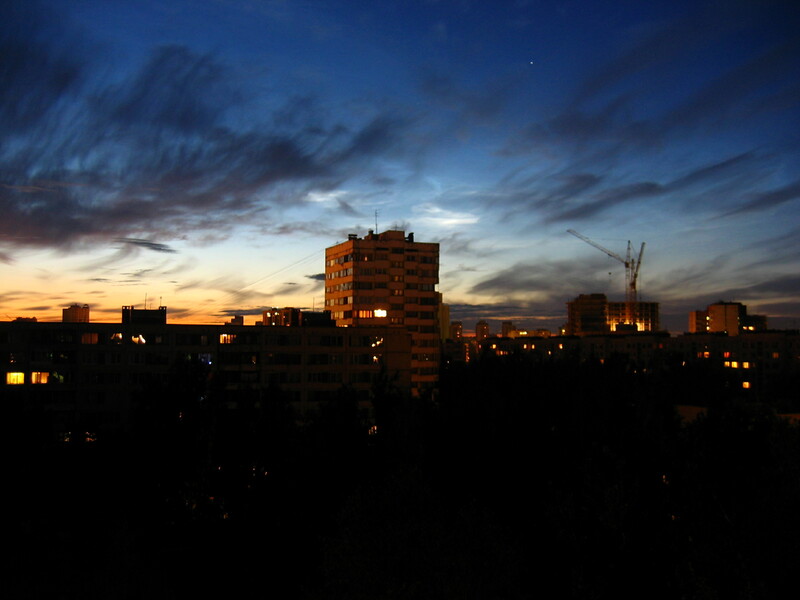 Photo details: 20mm Sigma and a Canon 450D. Haltdalen, South Norway, about 100 km. 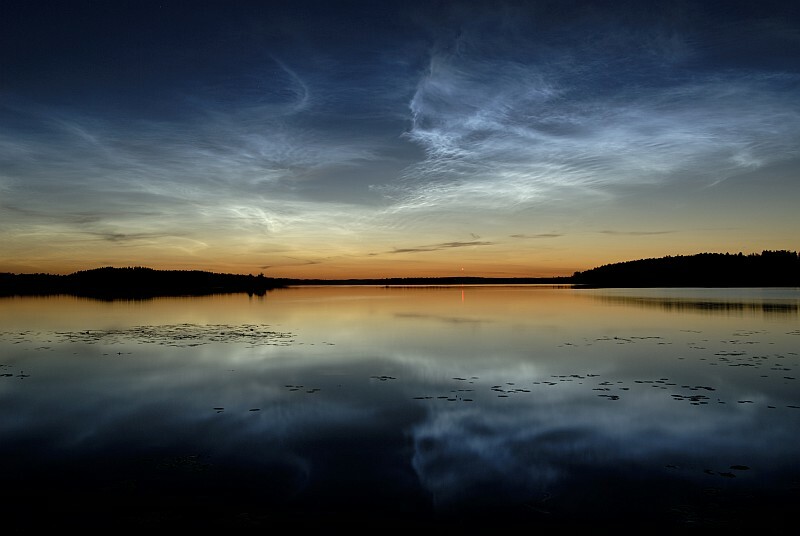 south of Trondheim. 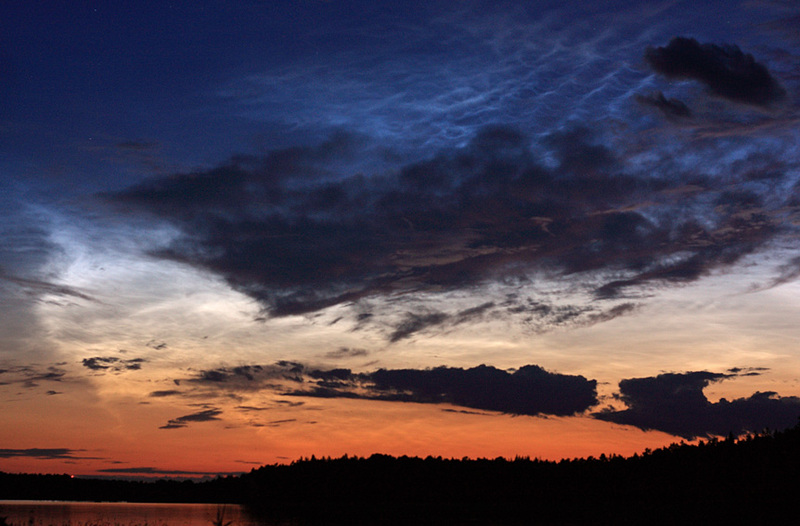 Beautiful display of NLC covering almost half the sky. 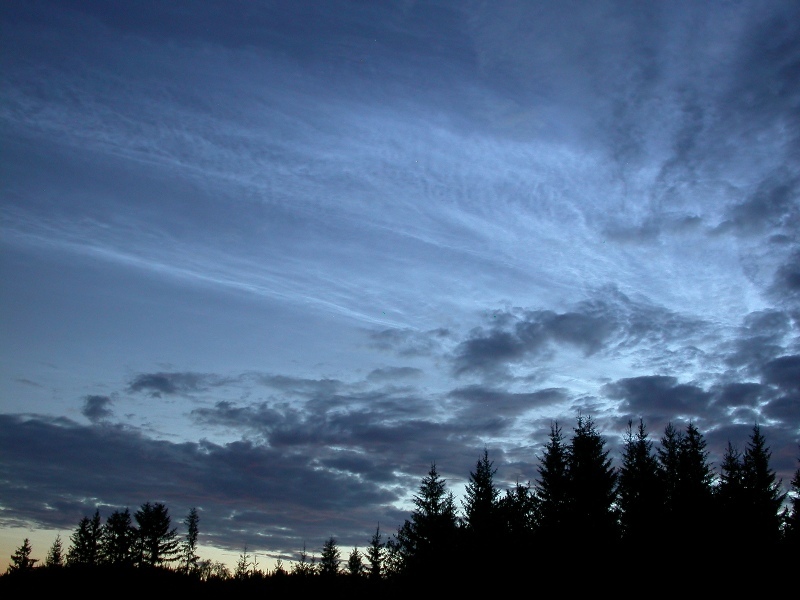 Only problem is that as far north as Haltdalen, South Norway (latitude N 63)the sky is still not dark enough for long-time exposure. Photo details: Nikon Coolpix 4500, 2 sec., ISO 100. 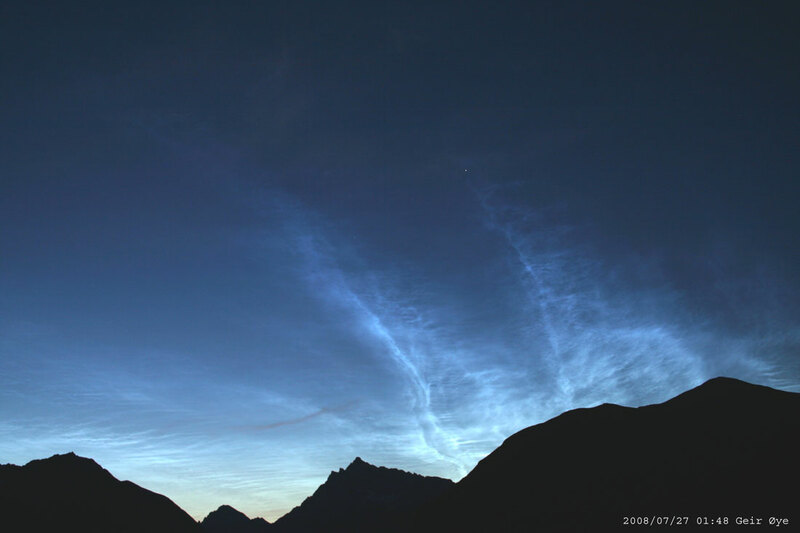 Very nice NLC display. The Moon came up and enhanced an already nice scene. Observations from about 23.00 UT 07/26/2008 to 01.30 UT 07/27/2008. 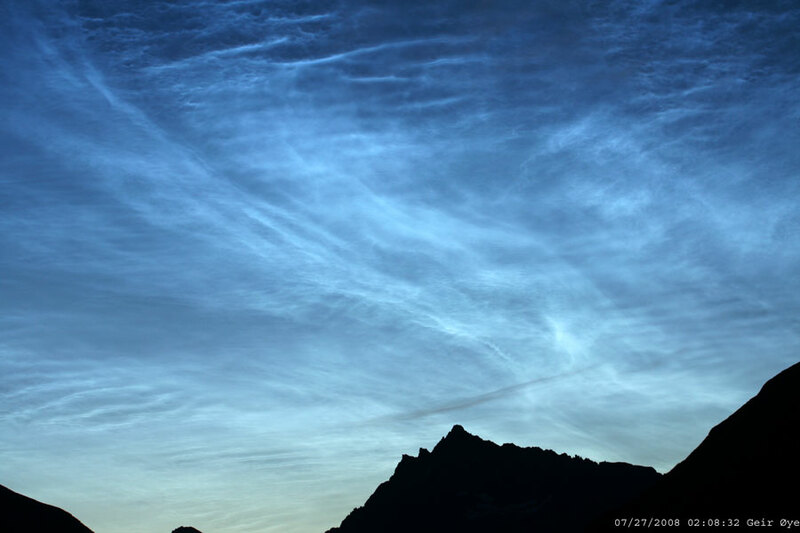 Most of the time the entire north and north-eastern sky was electric blue-white. There were complex structures. 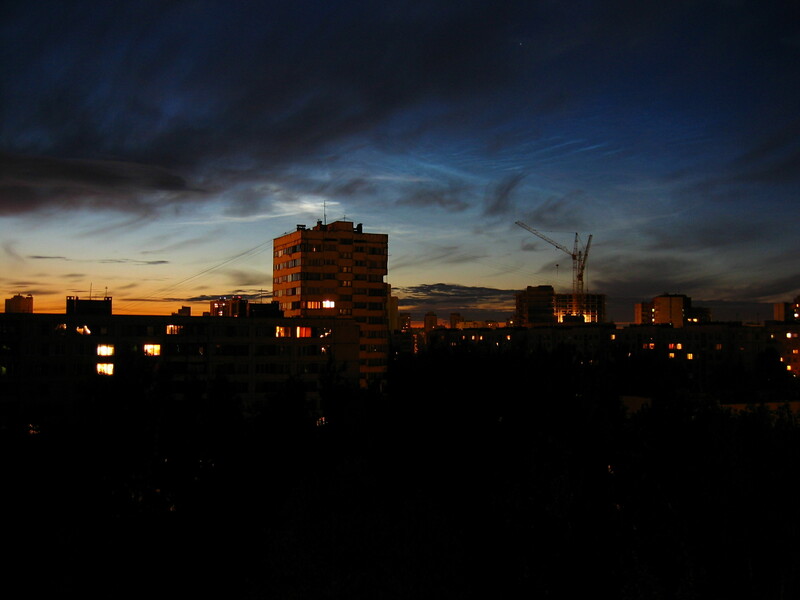 Photo details: Canon EOS 450D, various lenses,tripod, RC-5, ISO:100, 3-4s exposure. 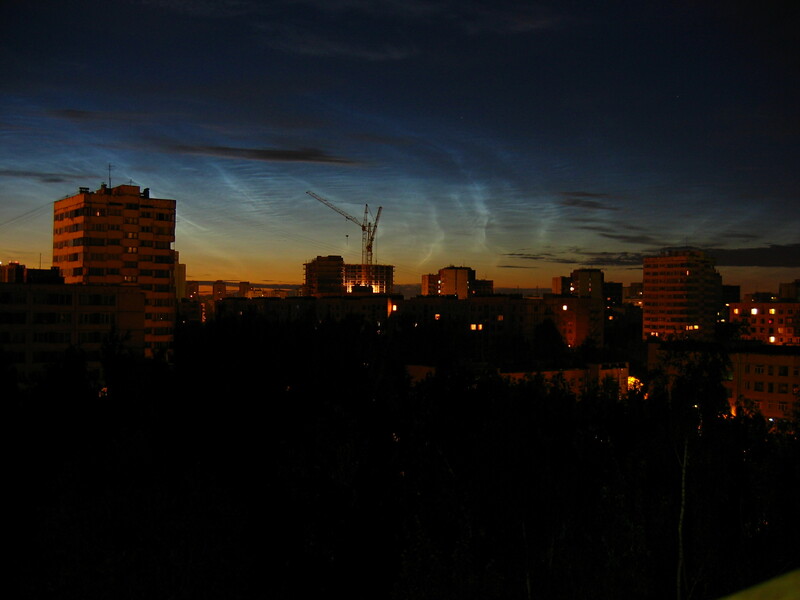 Noctilucent Cloud and bright tracks of rocket launch Soyuz to ISS. 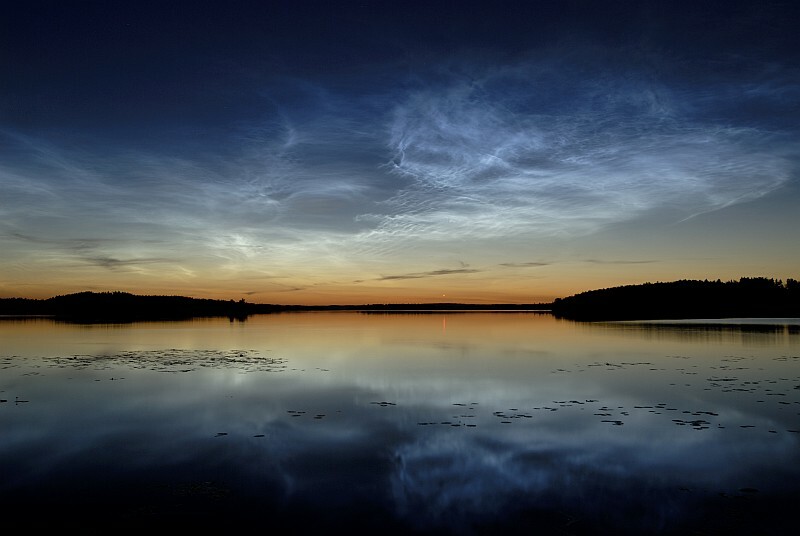 There have been Noctilucent clouds on three consecutive nights visible at Kangaslampi, Finland. 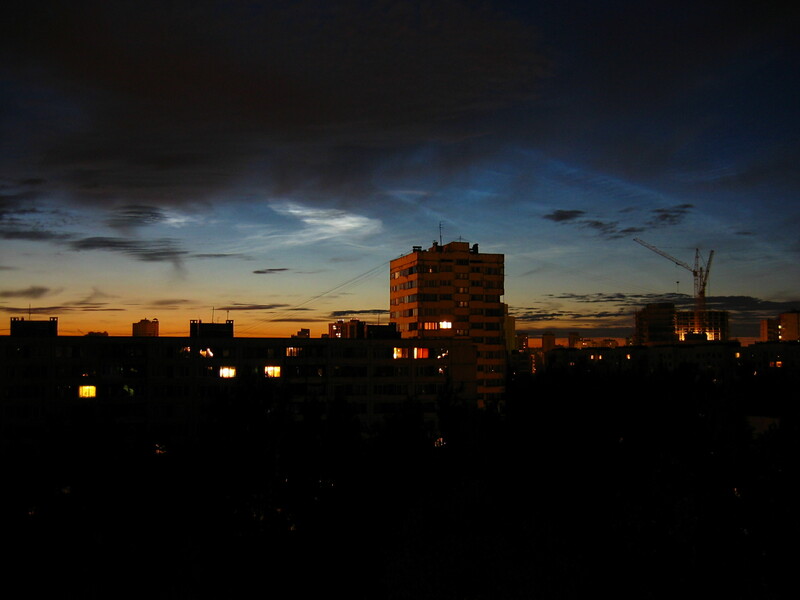 On 26/27.7.2008 night NLC clouds were very bright and beautiful. 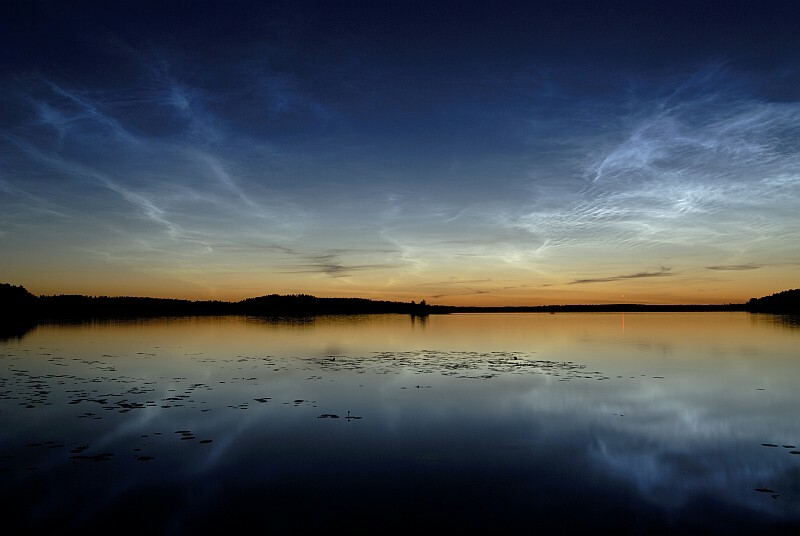 On this picture the Moon, which is travelling towards the total solar eclipse, is reflecting beautifully from the still surface of Lake Haukivesi. 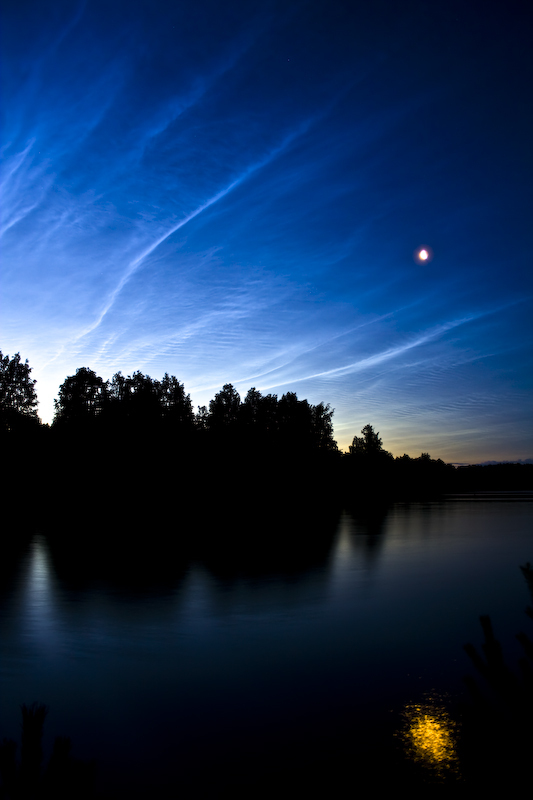 Picture is taken at 2 AM local time when the NLC display was at brightest. 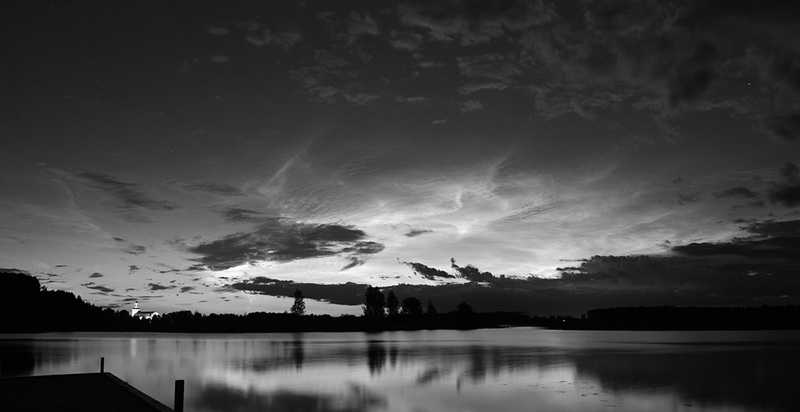 Photo details: Canon EOS 350D, ISO 100, 18 mm lens, 4 seconds exposure.